Munachiso58: oga read d hole of ur books for ur own good. the I part in the book is better than d PO in the book. ask me d meaning of d IPO! Naaah...!!!. Read the book in a night, quiet fun to read and very lengthy. its really interesting though, like to talk of all the moments she spent in school and at home both with her friends and family, most especially her dad. I've gotta say the writer really tried; being able to cover many areas of life, most especially the teenage life and fitting in talks, sayings and adages that leave the readers with a moral lesson or lessons to learn and actually pass on as he ended the story with a life assignment. And to talk of, I'm actually gonna pass it down to the coming generation as a coming of age story...Lol...!!!. In conclusion; this sweet sixteen and "the last days at forcados high" are like the best Nigerian novels I've ever read. God bless the writers and God bless My School for creating this kind of platform to be able to really express my gratitude. #Thank You all....!!!!! I have written a summary of the novel. 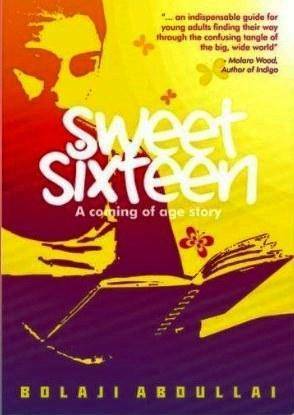 Anyone interested can call me on 08130850520 or 08174124981.
plz how can I download the sweet sixteen PDF file. I wasn't given because they said it is not available yet.